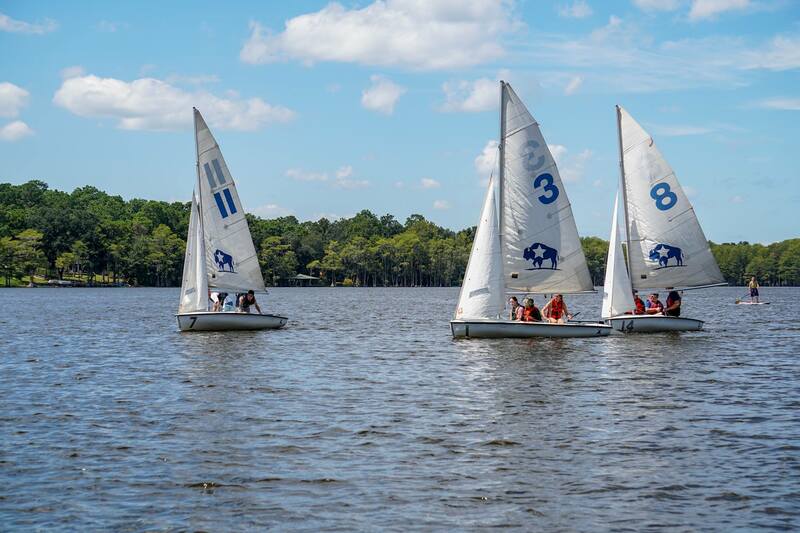 Students will learn the basics of sailing including boat handling, sail theory, and safety protocols. The course teaches basic knots and procedures for rigging sun-fish type sailboats. The course lasts approximately four to five hours and begins with classroom instruction, culminating with several hours of on the water instruction. Register on rc.campusrec.fsu.edu under programs and events!